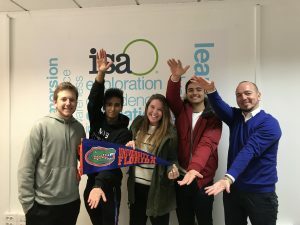 In Spring 2018, four freshmen engineering students participated in a new UF STEM Freshmen study abroad program in Valencia, Spain. They spent a semester in sunny, beautiful Spain taking critical tracking classes in science and math while being immersed in the local culture and learning Spanish. Students took classes in English at the Universitat Politècnica de València (UPV) and had the unique opportunity for STEM students to experience academics at a prestigious Spanish institution. This program focuses on developing student’s technical skills in an international environment. Courses are taught by faculty at the Universitat Politècnica de València so students have the opportunity to learn from international faculty. Students will stay with local host families for a unique home stay experience and participate in local cultural activities with students from all over the world. Study abroad is often considered a very limited option for engineering students. The myth is that students have to delay their graduation or to use their summer to travel and experience a new culture and engineering from a different perspective. That can often be challenging as engineering majors already have a strenuous workload and structured schedule. As a freshman, I had a very similar opinion about study abroad as well. But through the International Engineering Program and this program, I was able to study abroad in Valencia for a semester and took General Chemistry 2, Biology 1, and Calculus 2, as well as Spanish language courses. Taking these classes abroad allowed me to stay on track for my degree while giving me the chance to travel and immerse in a different culture. Although studying abroad as a freshman is pretty rare, I think it was a great decision, especially as an engineering major. I was able to get the full study abroad experience while still taking courses that will contribute to my major, which becomes more and more difficult as engineers start taking upper level courses. The host family experience takes a little bit of getting used to after finally adjusting to moving out of the house and into a dorm at school, but it was such a great way to practice my Spanish. My favorite memories of my semester abroad are all the traveling around Europe that I was able to do, as well as the trip to Morocco! 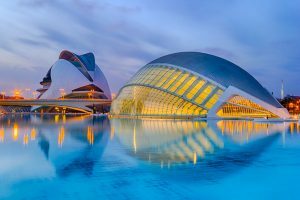 I would recommend that other students try to practice their Spanish whenever they can, get out and explore Valencia as much as possible, and take advantage of all the affordable travel opportunities. Coming back to UF, I’m looking forward to seeing friends again and can’t wait for football games in the fall! Before my freshman engineering study abroad experience, I have never left the country. With this in mind, you can only imagine the feelings and thoughts racing through my head when I decided to study abroad as an engineering student in my freshman year during the spring term. This past spring semester in Valencia, Spain has not only matured me in a way that I know how to travel responsibly but it has assured me that I am in the right path when it comes to my studies. I attended “La Universitat Politecnica de Valencia”, which what I have learned is one of the most prestigious universities for engineering students in Spain. I took four classes, two of them being Physics and Professional Communications for Engineers and the other two were Spanish Culture and Spanish Language. I truly think that every student should study abroad. Immersing myself in a different culture further taught me about myself and my studies as well as empowered me to build my global sense of knowledge and experience. Students can use Bright Futures, Prepaid Plans, and other financial aid towards this program. In addition, UF students will receive a $500 grant from ISA towards this program. Students are required to take a minimum of 12 UF credits while abroad to be a full-time student and to receive financial aid.